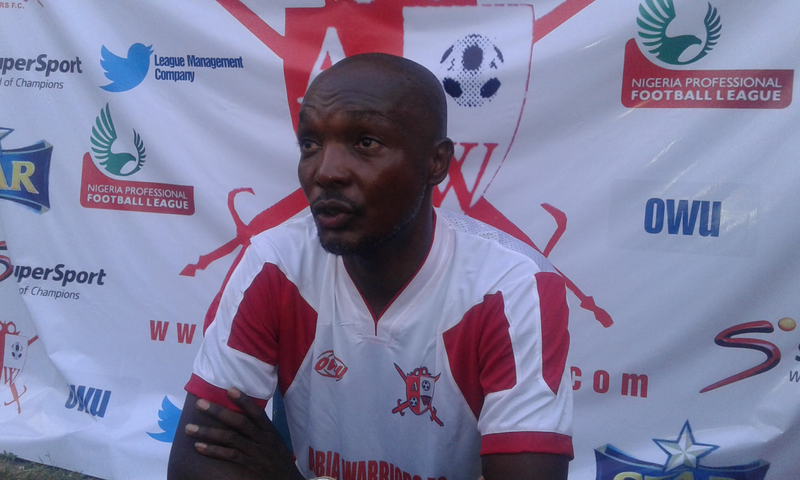 Abdullahi Biffo won his first home game in his second stint as gaffer of Abia Warriors, a post he assumed after the resignation of Okey Emordi. Warriors defeated visiting Niger Tornadoes in a game decided by a solitary strike from Anthony Okemiri in the first half of the game. After the game Biffo had a chat with www.naijaleague.com.ng on diverse issues affecting the Umuahia based outfit. Speaking about the atmosphere in the dressing room, the gaffer said the players needed some psychological orientation, which will put them in the right frame of mind because “since the team is not scoring goals and was not winning games it put them under tense pressure to perform and you know when a player is playing under pressure, he can hardly bring out his best. “Paul was not part of the pre-season tour with the team. He joined us just few weeks ago and it has not been easy integrating him into the team. 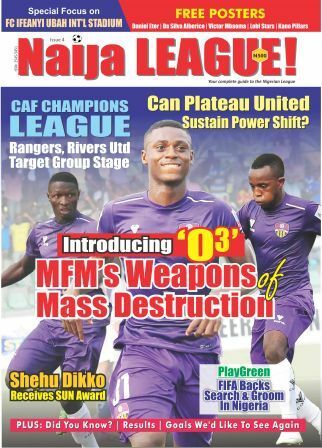 Issues about Ndifreke Effiong’s depressing form came up, but the gaffer justified his regular inclusion in every game. “Ndifreke is not performing as expected, but that does not rule out the fact that he is a good player,” Biffo said. “This a time to be patient and lend the lad our support. On his good day, he is a player who can come salvage the team so we have to deal with his case tactically. We have about 40 players on our pay roll, so the absence of some players is not what we worry about,” he added. Biffo stated that the victory over Tornadoes is worthy of celebration considering the pedigree of the Minna side. “I recruited most of the players and I really know their capabilities. So I expected a though encounter. It is a victory that my side deserves and I excited we got the three points,” he said to naijaleague.com.ng.